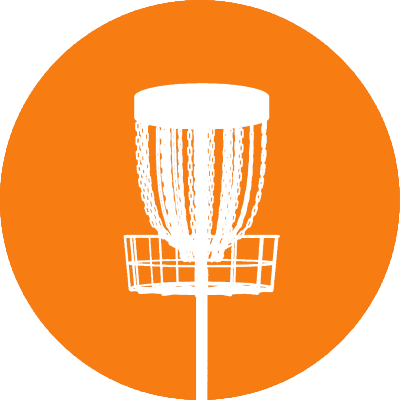 Crater is our tournament grade target, certified by Professional Disc Golf Association for the Championship (highest) class. Crater’s galvanised frame, stainless steel chains, and powder-coated parts ensure longevity in all weather conditions. Crater stands out easily from terrain and is structurally robust. The 28 chains of Crater stop all discs effectively and the deep basket prevents them to bounce out. 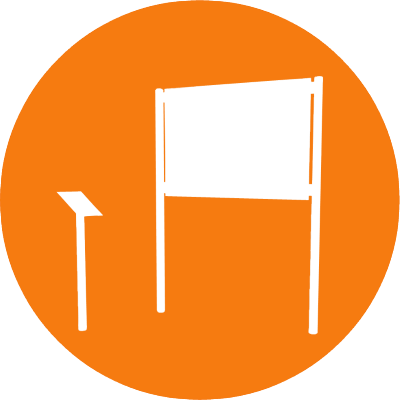 For an extra fee, a monochrome or coloured sticker can be attached to the deflector’s upper part. There’s also an option to get the powder-coated parts custom painted with one or more colour, including the chains. 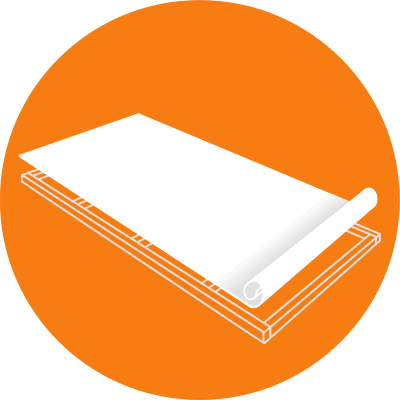 All metal parts of our map and sign frames are powder-coated stainless steel. 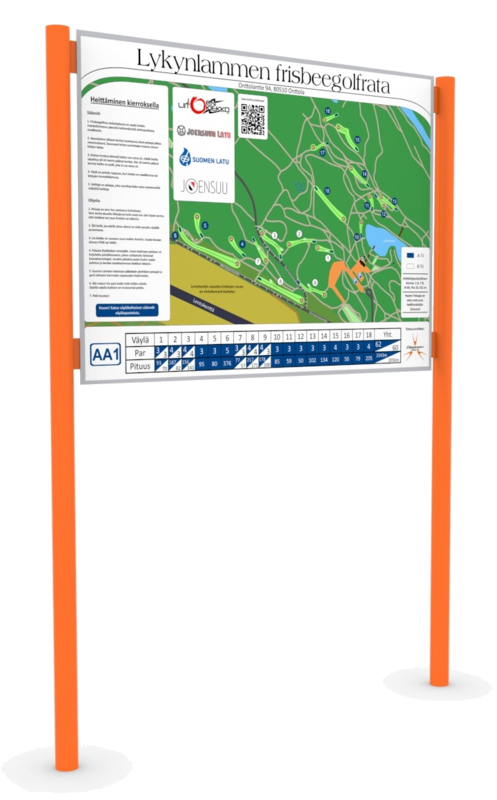 We deliver the course maps and tee signs printed on weather-proof adhesive fixed on laminated aluminium composite, with or without concrete blocks for secure mounting. 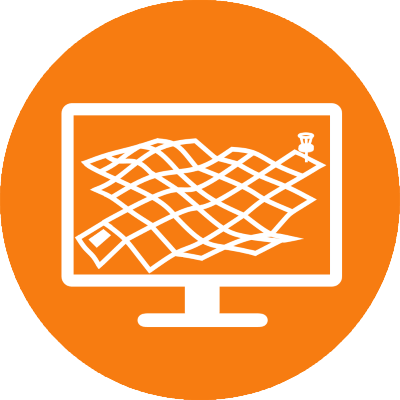 We also deliver the maps and signs in digital format, so they can be added e.g. to the web or Facebook page of the course.